Intertap Forward Sealing Stainless Steel Beer Faucet. 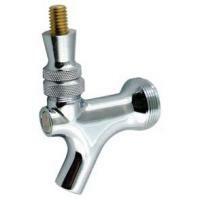 In normal rear-sealing faucets, the entire faucet has to drain of beer. 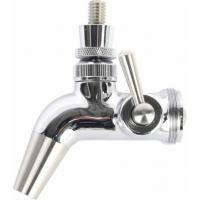 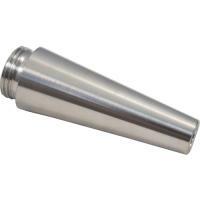 Forward sealing faucets keep beer in so the inside doesn't have a chance to get sticky, making cleaning much easier. 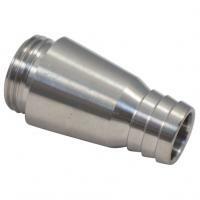 A forward sealing faucet also reduces the chance of off flavors transferring to your beer while you pour. 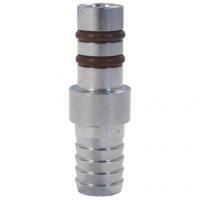 Other forward sealing faucets use a floating O-ring, which is just as sanitary but requires the o-ring to move inside the faucet body in order to seal correctly. 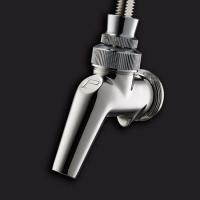 This can become a problem as the faucet ages. 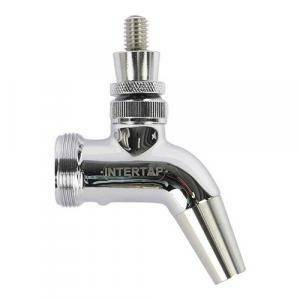 Intertap faucets use a sliding shuttle that guides the o-ring into the perfect position every time. 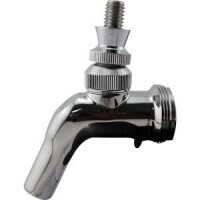 The threaded spout easily unscrews from the faucet and can be replaced by a growler filler or stout spout quickly and easily. 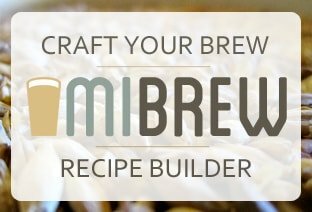 Pour a pint and then fill a growler in no time at all.